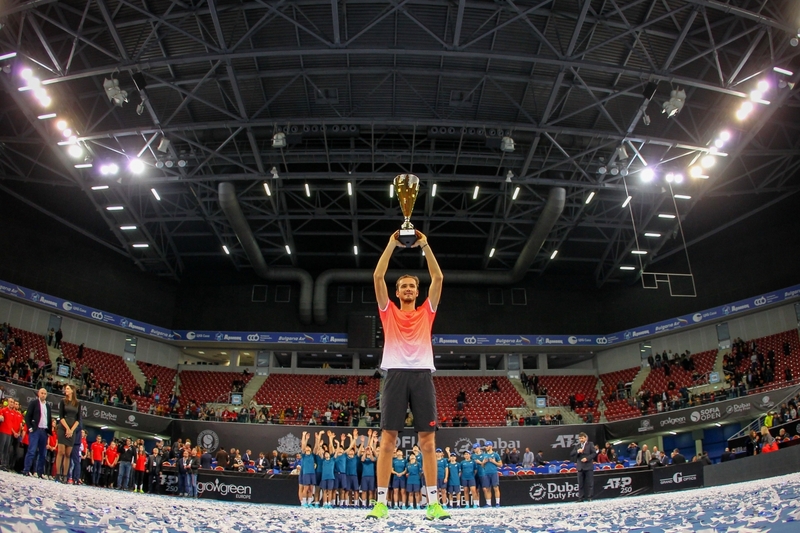 Daniil Medvedev won his fourth ATP title after a triumph in a tough final against surprising finalist Morton Fucsovics. 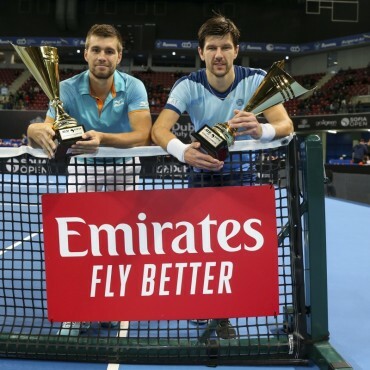 The 22-year-old continued his solid appearance in the Bulgarian capital winning 6:4, 6:3 in an hour and 21 minutes. Medvedev hit 6 aces and made a single double fault. He won 70% first-serve points and 55% second-serve. Fucsovics was impressive too and had big first serve – 74%, but was not so stable with his second serve and won just 14% of the points. Medvedev and Fucsovics opened Sunday’s final with a series of routine service holds, followed by trading a pair of back-to-back breaks to even the set at 4-4. The Russian slowly wore Fucsovics down with a mix of looping forehands and slice backhands to earn another break in a lengthy service game and lead 5-4. He then comfortably closed out the set on his serve in the next game. A huge passing shot return gave Medvedev an early break at 1-1 in the second set as he continued to ride the momentum. With the crowd urging him on, Fucsovics found himself with two break points at 2-3 in the second set but just missed on a forehand winner attempt on his second chance. Perhaps frustrated at being unable to capitalize on the opportunity, his game dipped slightly and Medvedev pounced. The Russian broke to love and wrapped up the match on an unforced error from Fucsovics. The world No 16 won his just second final for the year after losing to Kei Nishikori in Brisbane. Last year he went 3-0 in finals, winning his first three ATP Tour titles at Sydney, Winston-Salem, and Tokyo. 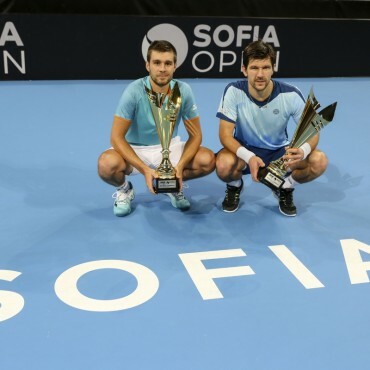 It was first ATP final for the top Hungarian tennis player and second in his career. 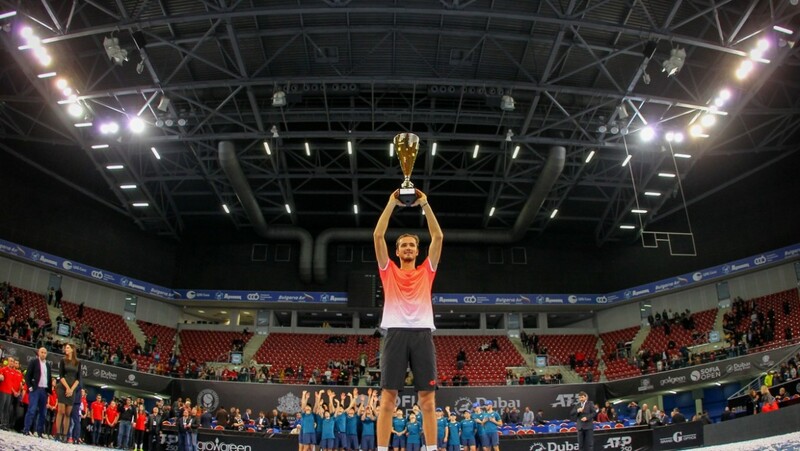 Last year in Geneva he captured his maiden ATP title (d. Gojowczyk). “I am just really happy. The title is what I came here for, to win every possible match. I played four matches to win, I won them. I played good tennis in the last three. I am just happy with my level. So I am happy to be here and to win”, Medvedev said after the match. “It was a tough match. Daniil is a very good player. He improved a lot. He broke into the Top 20. He has the potential to become Top 10 player. He played very well the whole tournament. He played well today. He was serving well, played very consistent from the baseline, without any easy mistakes. He deserved to win today. I played a long match yesterday. I was used to the court. I think I was hitting the ball very well today. I played really good today. He just was the better player today”, Fucsovics added.